DIVINE PROTECTION Wear these earrings and necklace as tangible reminders that you are covered by God’s divine protection and love. Stand firm and “be strong in the Lord and in His might power.” Ephesians 6:10 Product Description Gold dipped Benedictine Medal, My Saint My Hero Logo, cross and a Swarovski simulated pearl on a gold dipped 19″ chain with a 1″ extender. Gold dipped earrings with Swarovski simulated pearls. 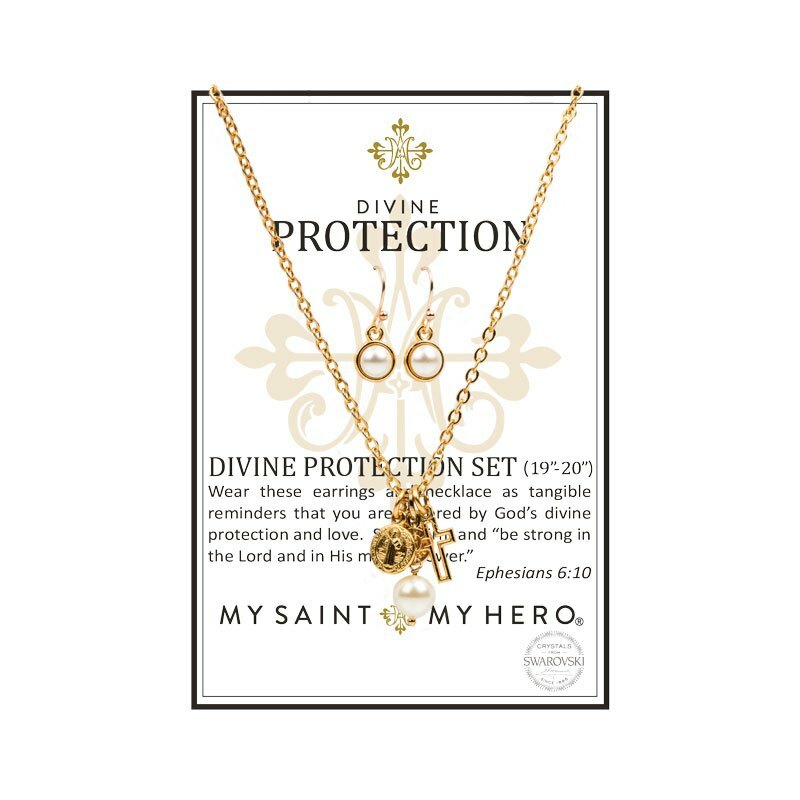 Divine Protection Necklace and Earring Set comes in a box with an inspirational card.